summa' time is ending which means back to school for the kiddos. one of my favorite things as a mom is getting to shop with my kids, help them choose their clothes and have fun styling them. this window is so short-lived that i try to live it up every chance i get. 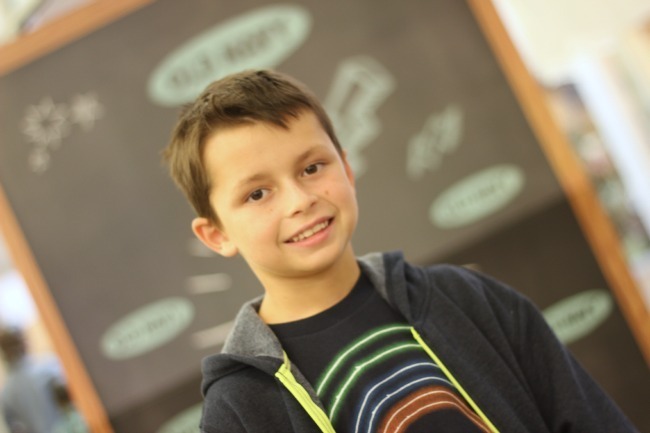 one of our must-stop shops for Back To School shopping is Old Navy. we can typically wardrobe the family in adorable clothing without over-spending. if you have any doubts about the adorability of Old Navy clothing, be sure to see the picture above. C-diddy and i hit the store to prepare him for his big 2nd grade debut. thanks to Old Navy's Back To School sale happening now through August 14th, you can pick up denim and hoodies for only $10 while graphic T's are only $5. just think of the adorable combinations you could come up with! right now Old Navy is running the Multiply Your Style Sweet Sweepstakes. head into any Old Navy store where a runway will be set up. 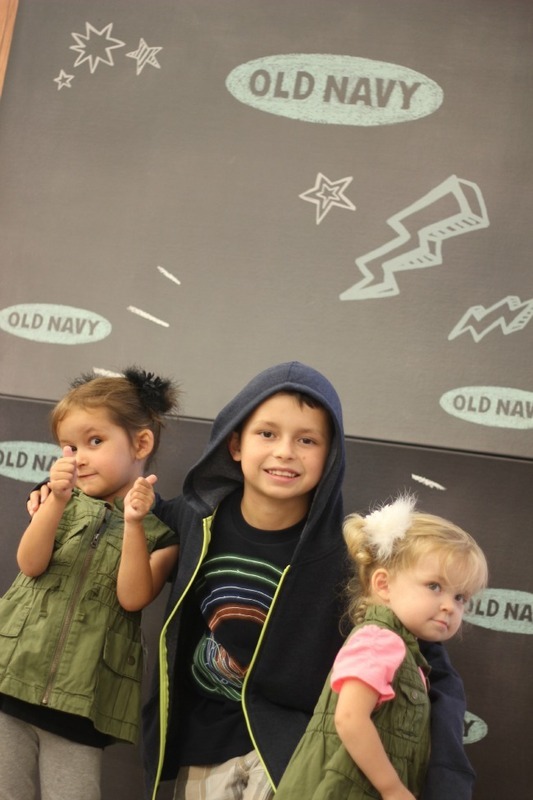 parents can submit photos of their kids (ages 6-12) rockin' their fave Old Navy Back To School looks on the runway for a chance to appear on www.oldnavy.com/myONstyle. pictures taken in store should be shared via Instagram or Twitter using the hashtag #MyONStyle. after selecting some favorites C-diddy and i headed to the runway to snap some shots of Mr. Cool himself wearing his new duds. of course any shopping trip is not complete without lil' sisters who also picked up my favorite fall piece yet - the safari vest. so ridiculously cute! my favorite vests and their sweet models. 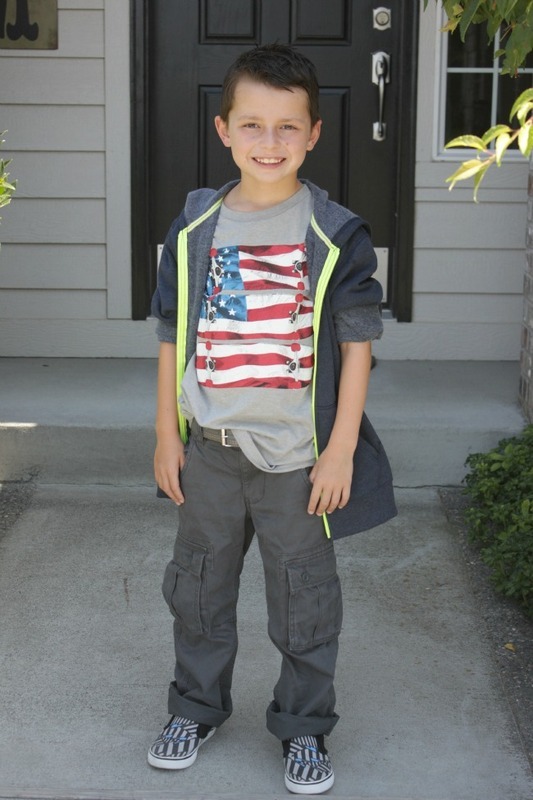 How do you multiply your kids’ style when back to school shopping? This is a sponsored conversation written by me on behalf of Old Navy. The opinions and text are all mine.